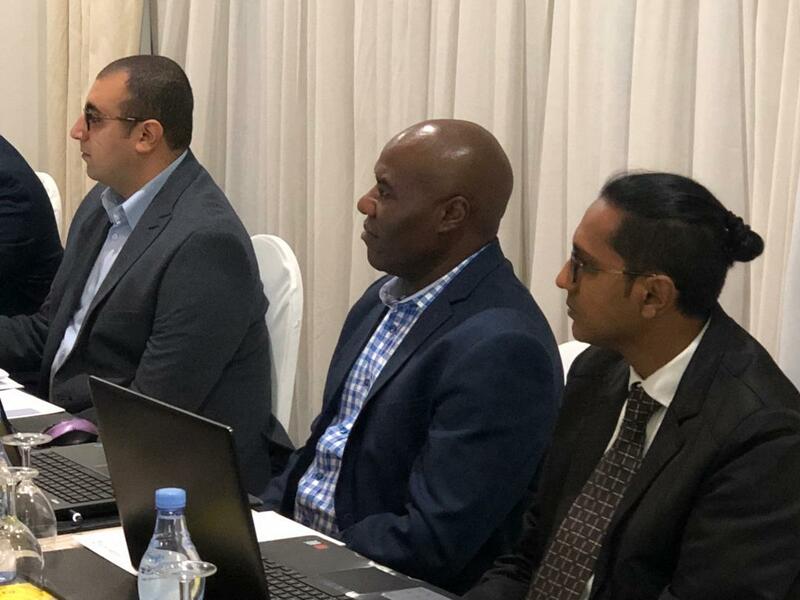 Experts and focal points responsible for monitoring and Evaluation at the 13 GMES and Africa consortia across Africa recently undertook a Monitoring and Evaluation Workshop in the Tunisian capital. The four-day workshop was to build capacity, foster common understanding and support the experts with monitoring and evaluation tools and protocols required in the implementation process of GMES & Africa. Among the experts was Joseph Murage the Regional Centre for Mapping of Resources for Development (RCMRD) Monitoring and Evaluation Specialist. RCMRD is implementing the programme in partnership with the Ethiopian Mapping Agency, Makerere University and Rwanda Water and Forest Authority. In his opening statement at the workshop, the GMES and Africa Programme Coordinator and Space Science Expert at the African Union Commission Dr. Tidiane Ouattara, observed that Effective Monitoring and Evaluation improves decision making processes. He said the workshop will help consortia effectively manage their grant projects by ensuring that funds are spent in a transparent, efficient and fair manner through timely and consistent collection of data that allow project managers make informed decisions added. The workshop participants were introduced to GMES and Africa Monitoring and Evaluation tools, procedures and protocols. The workshop also examined the different components of the Monitoring and Evaluation system as well as opportunities to identify challenges and best practices at the 13 consortia. 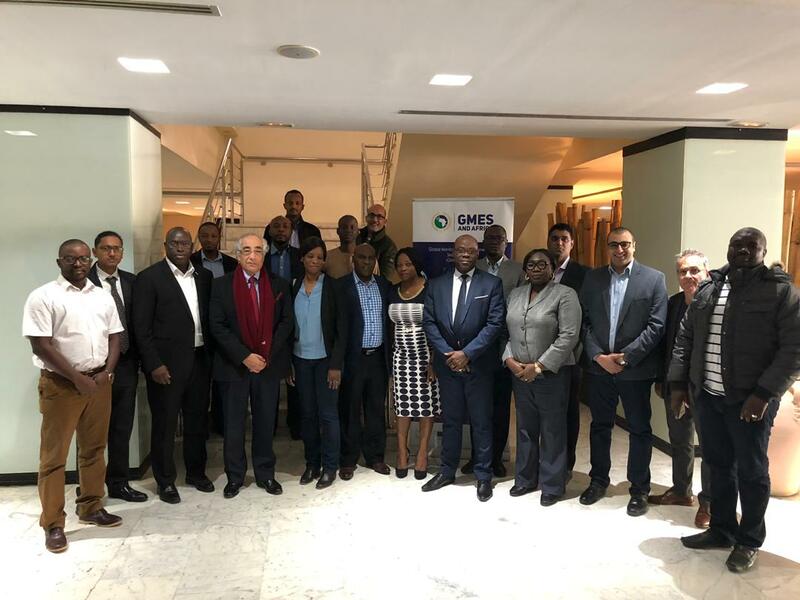 Workshop participants shared ideas on best practices and paved the way to distil lessons for the refinement of the GMES and Africa Monitoring and Evaluation tools, procedures and strategies. The Global Monitoring for Environment and Security and Africa (GMES and Africa) is a flagship programme of the African Union under the African Space Policy and Strategy. The programme is implemented through grants to African institutions of regional consortia. 13 consortia representing a total of 72 African institutions have been awarded grants to implement projects in water, natural resources, marine and coastal areas management. The programme is supported by the European Union through its Pan-African Programme. It is also supported by the European Commission (EC) COPERNICUS Earth Monitoring Programme, which provides satellite data and products from the services through the satellite EUMETCAST system of EUMETSAT. GMES and Africa is another joint programme emergent from the long-standing partnership between the European Union and the African Union. RCMRD's asscociates are: National Environment Authority, Uganda; Higher Council for Environment and Natural Resources (HCENR) Sudan; Department of Resource Surveys and Remote Sensing (DRSRS), Kenya; Ministère de l’habitat de l’urbanisme de l’environnement (Dept. of the Environment, (MHUE) Djibouti; Ministry of Land, Water and Environment, Eritrea; Benadir University, Somalia; Ministry of Housing and Lands, Mauritius as well as the Department of GIS, Remote Sensing and Cartography, National Bureau of Statistics (NBS), South Sudan. The Centre is among three Consortia implementing the project in East Africa. The other two are: IGAD Climate Prediction and Application Centre (ICPAC) for Water and natural resources service and Mauritius Oceanography Institute (MOI) for Marine and coastal areas service. The RCMRD implementation countries are: Sudan, South Sudan, Eritrea, Djibouti, Ethiopia, Uganda, Kenya, Rwanda, Somalia and Mauritius.